The pleasure of listening to music comes in different assorted flavours, and one of them is nostalgia. This is the craving Prettyboy D-O’s “Chop Elbow” video satisfies. The track’s subdued Afro-Caribbean influenced harmonies may have hinted at a retro aesthetic—it listens like a sample from vintage Bollywood clips—but the music video certifies there’s no mistake about it. San Visuals shots a video that takes viewers back to a time when Nigerian media was still experimenting heavily with greenroom technology and Ramsey Nouah was a face punching, ball squashing badass on our home video screens. As if Prettyboy D-O’s politically charged “Chop Elbow” wasn’t enough to revive memories of equally geared throwback hits from artists like African China, the dancers, flawed greenroom effects and cuts from news channels portray the full extent of D-O’s socio-conscious message and its pleasant marriage to nostalgia. 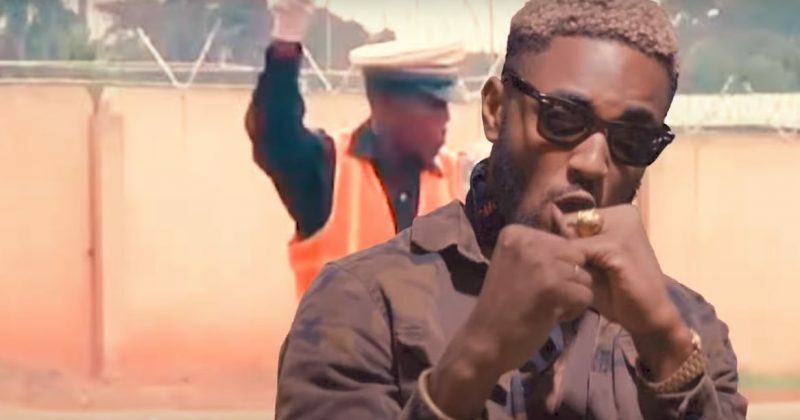 PrettyBoy D-O delivers the song against a backdrop of the chaotic society we live, alluding to the SARS problem with shots of a dancing traffic warden. It’s a precise euphemism as the playful song addresses the daunting—and occasionally life-threatening—struggles of being a youth in Nigeria. With the national elections lurking in the horizon, “Chop Elbow” is a timely release to shake youths apathy. Watch the video for “Chop Elbow” below.